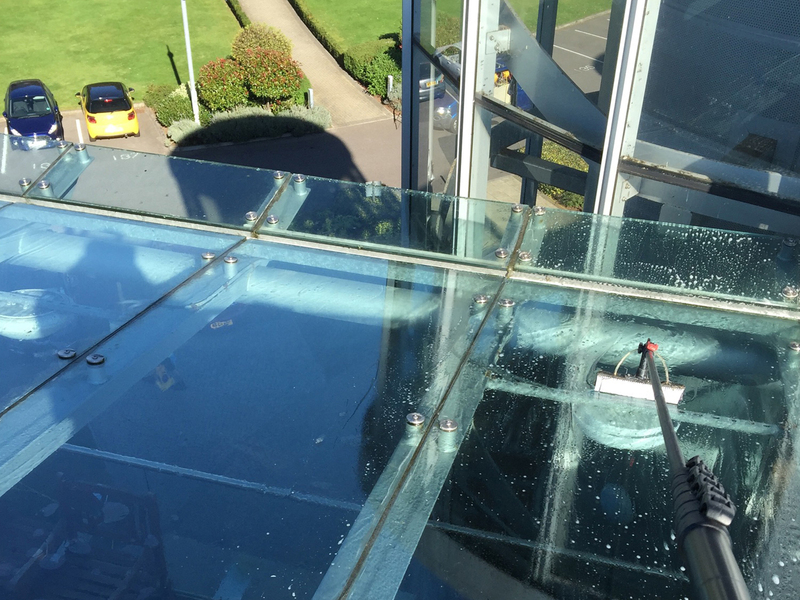 Working from the ground or at height, our experienced team of window cleaners tackle a variety of access situations. 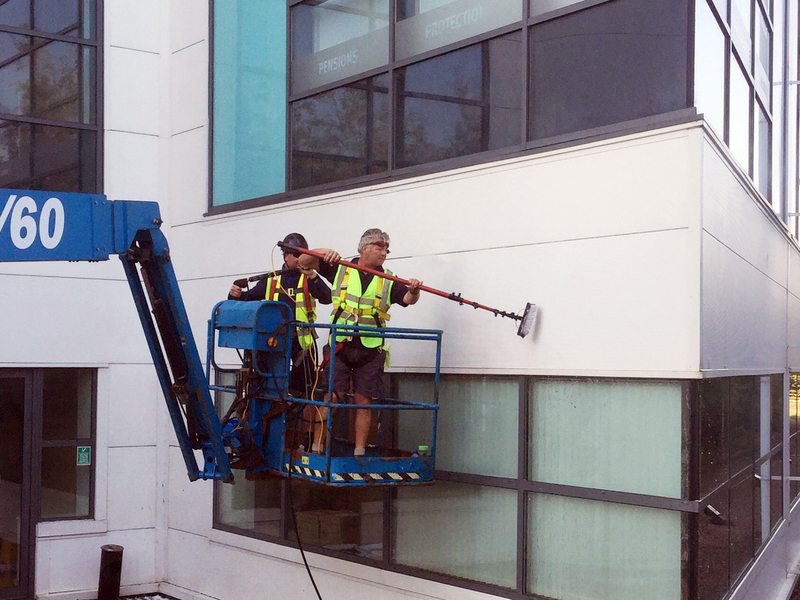 We cover all aspects of window cleaning – from small shop fronts to high rise buildings. Our pure water system enables us to provide the best window cleaning solution. Call us for window cleaning throughout Cardiff and South Wales. Fully trained and reliable window cleaning staff. Water-fed pole and Pure Water Technology. 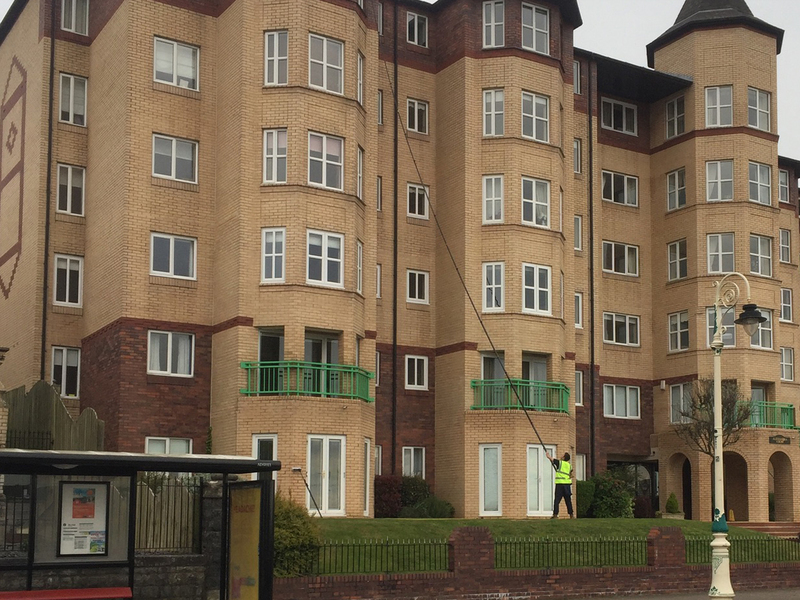 Fully trained staff from Cardiff Window Cleaner Ltd will carry out all work to current health and safety standards and show consideration for your environment. We can advise you on the most cost effective way to maintain clean windows or facades for your business. 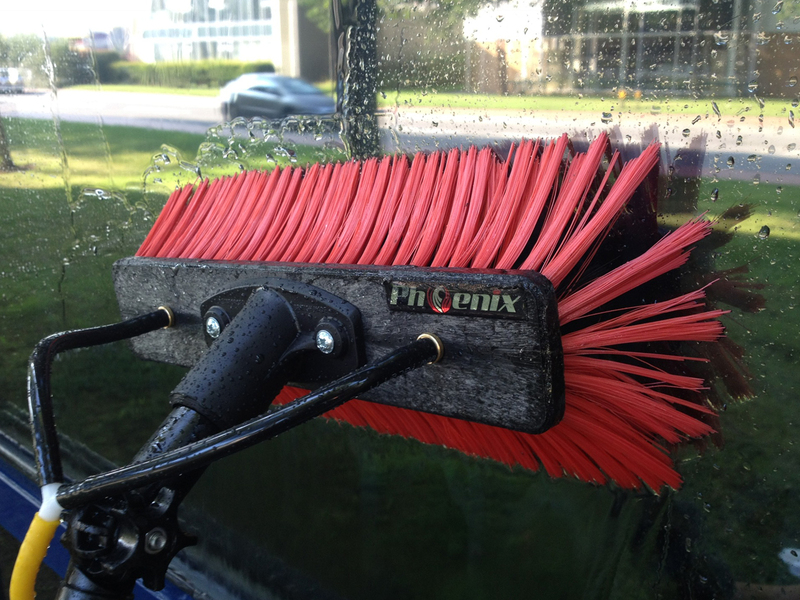 Why use pure water window cleaning technology? Using water-fed poles we apply pure water technology to leave windows cleaner for longer. Purified water cleans more efficiently. Window glass and frames cleaned in one application. Environmentally friendly – no detergents or chemicals used. One off jobs or flexible contract terms to suit all businesses for all our cleaning services. For cleaner windows, shops, factories and buildings in the Cardiff area - contact us with your requirements.